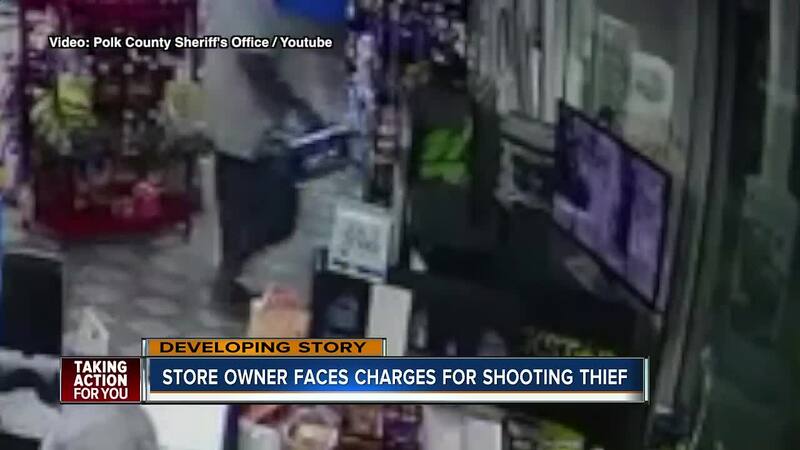 LAKELAND, Fla. — A gas station owner is behind bars after he was captured on surveillance video shooting a man who stole beer from his Lakeland convenience store last week. On Saturday, the man who was shot passed away, and the gas station owner was handed an additional charge for second-degree murder with a weapon. It happened after a man stole three 18-packs of Natural Ice beer from a Shell gas station and the owner chased after him, shooting him through his car window in Lakeland on Tuesday night. Rennie Defoe, Jr., 43, of Plant City, entered the store located at 125 Combee Road North in Lakeland at approximately 11:40 p.m. Tuesday. He walked to the beer cooler, picked up three 18-packs of Natural Ice beer and then walked out of the store without paying. The beer was valued at approximately $36. Mehedeun Hasan, 22, of Lakeland, the co-owner of the business with his father, picked up a 9mm handgun from the store office and ran out after Defoe to confront him about the theft. Defoe threw the beer into his Toyota Camry, got inside and then shut the door, according to deputies. Hasan then caught up with Defoe and pointed the gun at him while he was in the driver's seat of the Toyota and reportedly shot Defoe as he was backing his car up to leave. Defoe drove off and crashed his car at the intersection of East Main Street and Fish Hatchery Road in Lakeland. Defoe suffered a single gunshot wound to his left arm and chest. 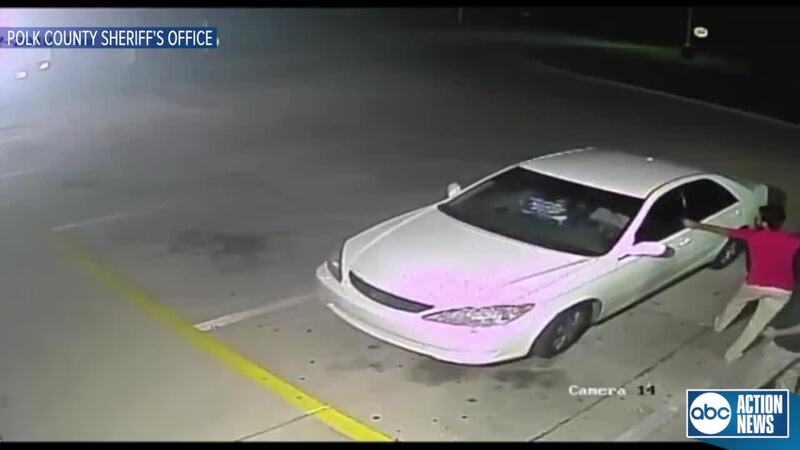 Surveillance video of the incident was released by the sheriff's office. Defoe was taken to Lakeland Regional Health Medical Center and is listed in critical condition, but ultimately passed away Saturday. Hasan was arrested Wednesday and was charged with shooting into an occupied vehicle and attempted 2nd-degree murder. Those charges were later upgraded to second-degree murder with a weapon. Hasan has no prior criminal history, according to deputies. Defoe has 12 prior felony charges and 9 prior misdemeanor charges which include: Robbery, Firing a Missile into a Dwelling, Domestic Battery (2), Battery, Grand Larceny, Grand Theft, Felony Petit Theft, Petit Theft (2), Resisting, Distribute Cocaine within 100ft of a School, Manufacture Marijuana, Possession of Cocaine with Intent to Sell, Possession of Marijuana, Possession of Drug Paraphernalia (2), Failure to Appear, and Probation Violation (5). Defoe has been sentenced to Florida State Prison four times and was most recently released from prison on June 12, 2018.